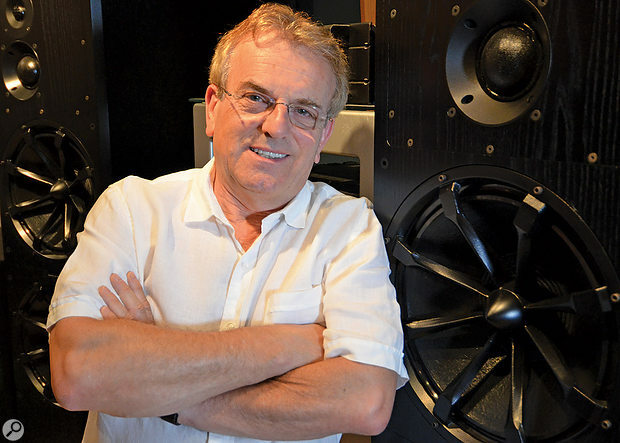 As one of the world’s leading mastering engineers, Vlado Meller has enjoyed great success — and his share of controversy. As his career enters its 45th year, Vlado Meller has been wondering where the next generation of Vlado Mellers will come from. “Today it is almost impossible to get the proper, hands-on training that is necessary for young people interested in a mastering career,” he says. “There isn’t really a formal school for young people to become mastering engineers. Music schools teach pretty much everything but mastering — it’s barely mentioned in their curriculum, if at all. I’ve seen books about mastering, but a lot of the people writing these books didn’t come from a true mastering world. Not to mention that mastering is a multi-dynamic process, and a book is a one-dimensional tool. Meller’s own career as a mastering engineer has been stellar, to the point where it would almost be easier to list the famous artists he hasn’t worked with than those he has. Nevertheless, few would envy him the experiences he had to go through before he got into the business. “I was born in former Czechoslovakia,” he relates. “After graduating from technical high school in Kosice, Slovakia, I decided to pursue electrical engineering at the Czech Technical University in Prague, Czech Republic. Parallel to my technical education, I was receiving musical education for violin until I graduated from high school. This integration of analogue electronics and music formed my foundation and future. In September 1968, after the Russian invasion of Czechoslovakia, I escaped to Vienna, Austria, along with thousands of other young people at that time. I became a refugee, and after seven months as a refugee in Austria and Italy, I was allowed to immigrate to the United States, and that’s where my journey in America started. 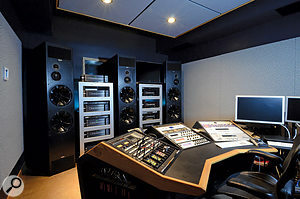 Vlado Meller's purpose-built mastering suite at Truphonic Studios in Charleston, South Carolina. Other trends in the music business have tended to undermine the sonic cohesion of album projects. Where once all the tracks on a long-player would typically have been recorded in the same studio and with the same production team, it’s now often the case that the only unifying factor is the artist him- or herself. “Today’s albums are recorded in different studios, with different producers and different engineers, so it makes it more challenging for the mastering engineer to compete in this business,” agrees Meller. “This is where an engineer’s experience shines. Each track requires a different mastering approach, different signal processing, and different effects to achieve one unified sound from track to track, throughout the album. 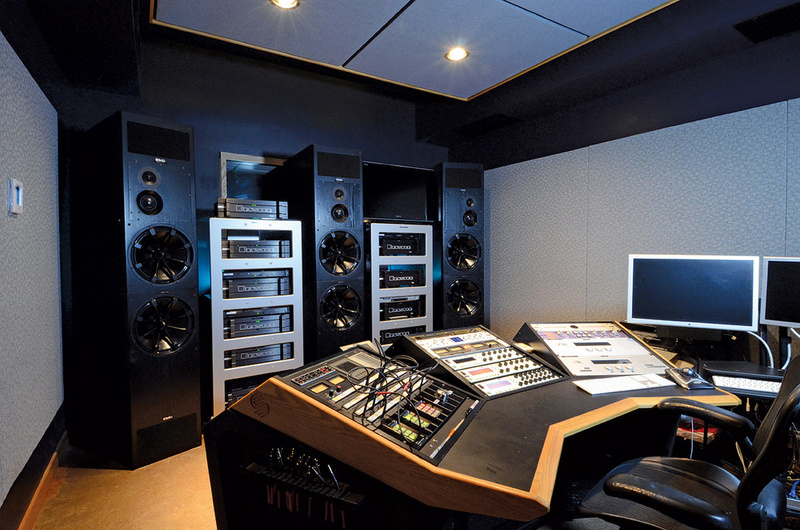 The client expects the mastering engineer to deliver an album which will sound like one unified recording. That is the art of EQ’ing. Books and YouTube clips on this topic that you can really learn something from are hard to come across, if they exist at all, and it’s truly one of the most important aspects of mastering today. Of all the trends that have occurred in music over the last 25 years or so, Meller’s name has become attached to one of the most controversial: the pursuit of ever-louder digital masters, at the cost of natural and musical dynamics. 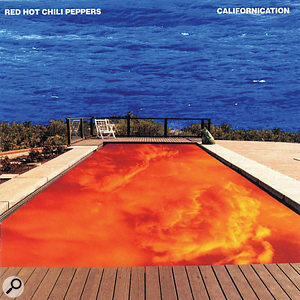 Some of the most high-profile projects to have attracted criticism for their lack of dynamics are albums that he has worked on with legendary producer Rick Rubin, including the Red Hot Chili Peppers’ Californication (1999).In every case, insists Meller, the quest for loudness is a response to the wishes of the artist and producer. Fortunately, for those who do want to understand the detailed choices that Meller makes in real-world mastering contexts, that knowledge is available — at a price. In addition to his core mastering business, he’s now offering three-day workshops in his South Carolina suite where younger mastering engineers can study and learn from his methods. It is, he says, his way of trying to fill the void that has been left by the closure of record label mastering houses such as CBS, where people like Meller himself received on-the-job training. There have been many reports over the last few years suggesting that vinyl is making a comeback, in part because of its supposedly superior sound. Vlado Meller has limitless experience of vinyl cutting, and still offers it as a service, but cautions against believing the hype. “There is a renewed interest in vinyl, but I truly believe it is more of a boutique niche than a lot of articles would have you believe. I’m being asked to create masters for vinyl more than I was seven or eight years ago, but it’s not a big part of our business. Today’s music delivery is all about downloads and streaming. “There’s been a lot of talk lately about quality of sound coming from vinyl. For some, vinyl sounds warmer, but that’s because of physical limitations of that particular medium. The limited frequency response of vinyl records combined with the limited response of consumers’ playback systems all affects the final quality greatly. Consumers who were vinyl enthusiasts are likely to have become accustomed to that sound over decades of listening. There are just too many variables affecting the final sound on vinyl, whereas digital recordings do not have these kind of limitations. This is why so many people think vinyl sounds warmer than a CD — the frequencies which had to be rolled off on vinyl suddenly show up on the CD in full force. So compared to vinyl, the CD suddenly sounds ‘harsher’ and more brittle to a consumer who spent decades listening to vinyl records. “Mastering vinyl is a very time-consuming process. It has a lot of physical limitations — it’s just a fact of physics and nature of that media. Let’s start with the length of the side. The longer the side, the more difficult it is for the cutting engineer to preserve the quality of the original recording. Every frequency represents a different shape in the groove itself. If there’s too much low end, the groove will swing too much, to a point that the turntable arm/cartridge/stylus will skip, or the worst-case scenario is that there will be momentarily no groove at all. If there’s too much high-frequency content, the groove will have extremely jagged edges. Again, the stylus cannot correctly play back and track the ‘V’-shaped edges of the groove. If there’s too much level, the programme cannot fit on a standard space on the vinyl side without sacrificing the overall level. That is where the mastering engineer has to decide what to alter on that particular programme to fit the complete side without any problems that a consumer could encounter when playing the vinyl. “There are too many variables that could affect the playback sound of the final pressing. Diameter and width of each groove are other critical issues with vinyl. A record uses constant angular velocity, so the best sound on the vinyl is on the outside; as the groove diameter decreases toward the centre, the quality of the playback decreases accordingly. Then you take into consideration the eccentric force under which the playback arm is being pushed to one side of the groove, so the problems increase. The only way to correct that problem is to have a linear tracking turntable. But how many people have that? If one would cut the same song on the outside diameter and the same song on the inside diameter of the record and try to compare the two, the difference in quality will be obvious even to the average ear. Again, there’s a physical limitation of a smaller groove and tracking error on the inside small diameter. Sometimes the producers would make sure that the best tracks were always on the outside and less dynamic, quieter tracks would be on the inside. 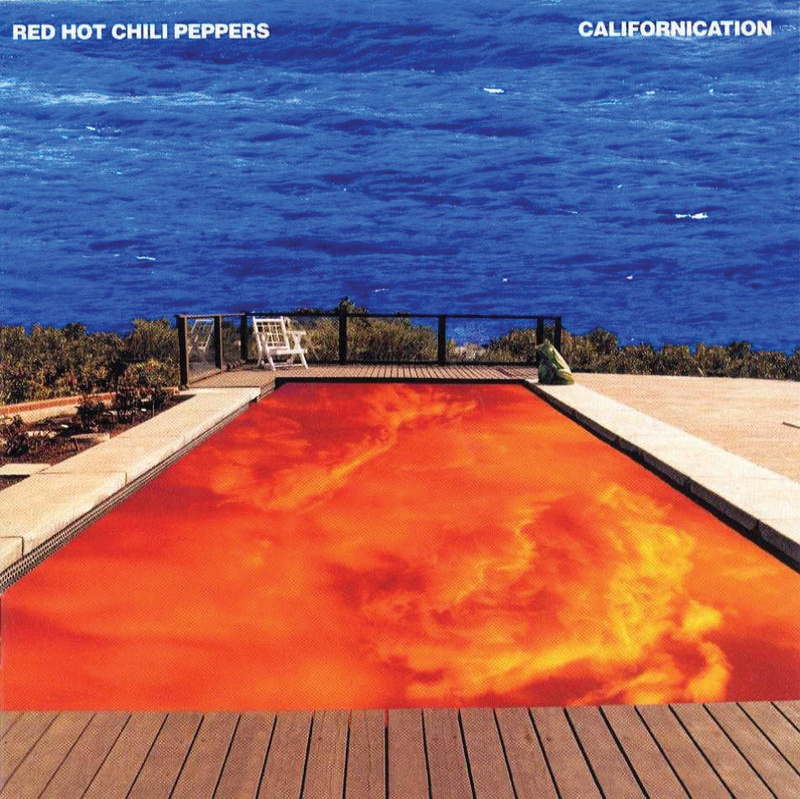 The sequence of the album had to be created accordingly with vinyl in mind.